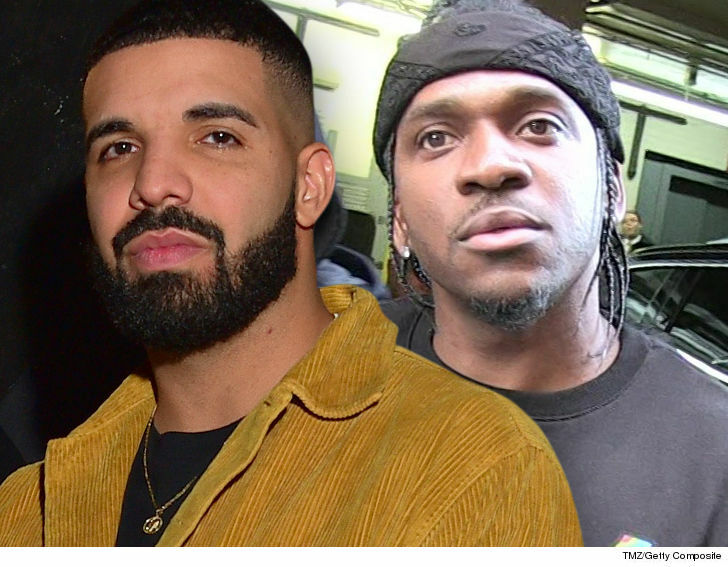 Drake is not letting his beef with Pusha T go, sending him an invoice for $100k for resuscitating his career. It's the latest grenade in the what is become a war between the 2 rappers ... triggered by Pusha's album with Kanye, where he shaded Drizzy for using a ghostwriter for his bars. 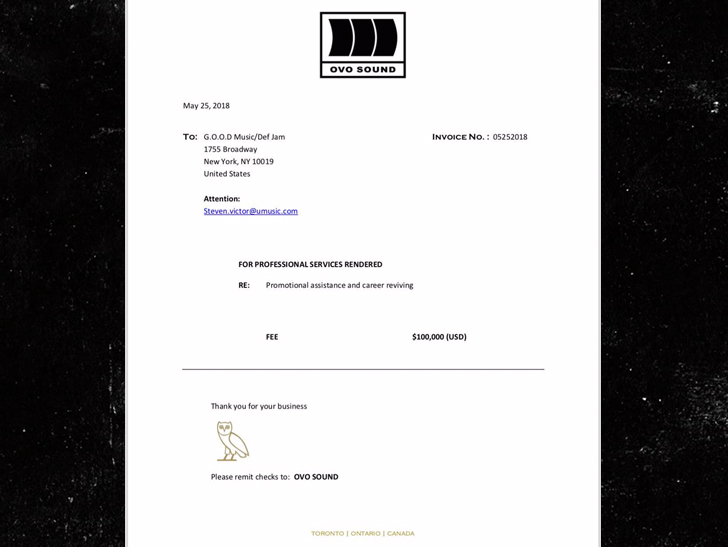 Pusha posted a notice to Drake on Twitter to send him an invoice for the added publicity and Drake followed through. In Pusha's new song, "Infrared," he raps, "Your hooks did it/ The lyrics pennin' equals to Trump's winnin'/ The bigger question is how the Russians did it/ It was written like Nas but it came from Quentin." Quentin famously wrote lyrics for Drake. 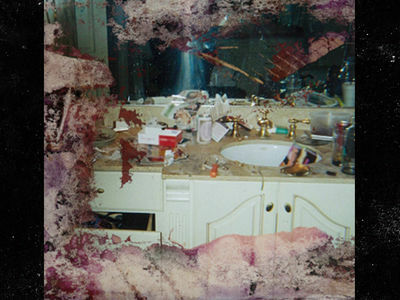 After Pusha dropped the song, Drake quickly released a diss track ... "If you rebuke me for working with someone else on a couple of V's, what do you really think of the n**** that's making your beats?/ I've done things for him, I thought that he never would need/Father had to stretch his hands out and get it from me." Drake later references the invoice. Drake's invoice was to the point ... "FOR PROFESSIONAL SERVICES RENDERED. RE: Promotional assistance and career reviving."